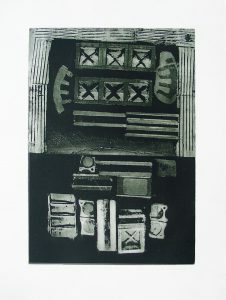 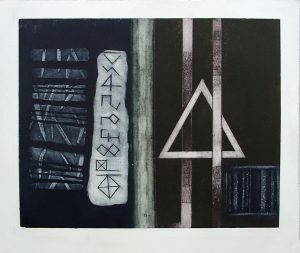 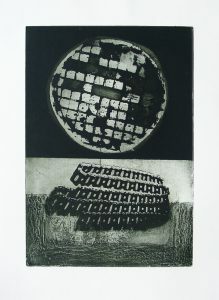 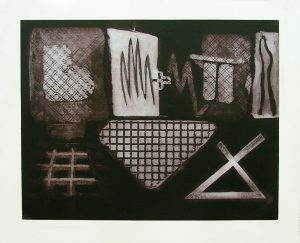 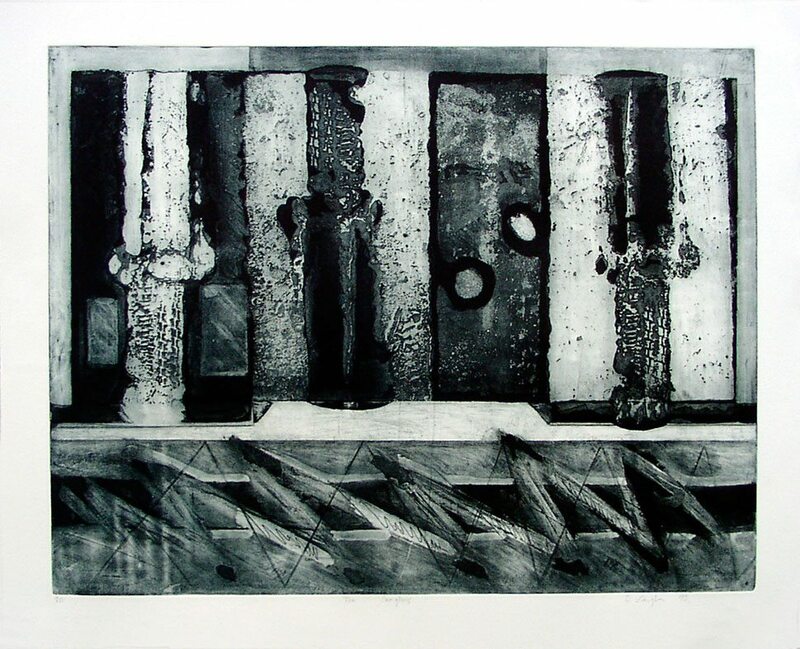 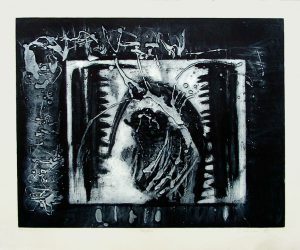 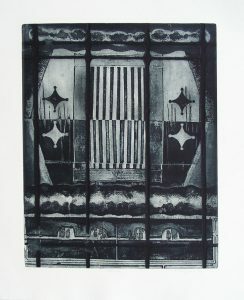 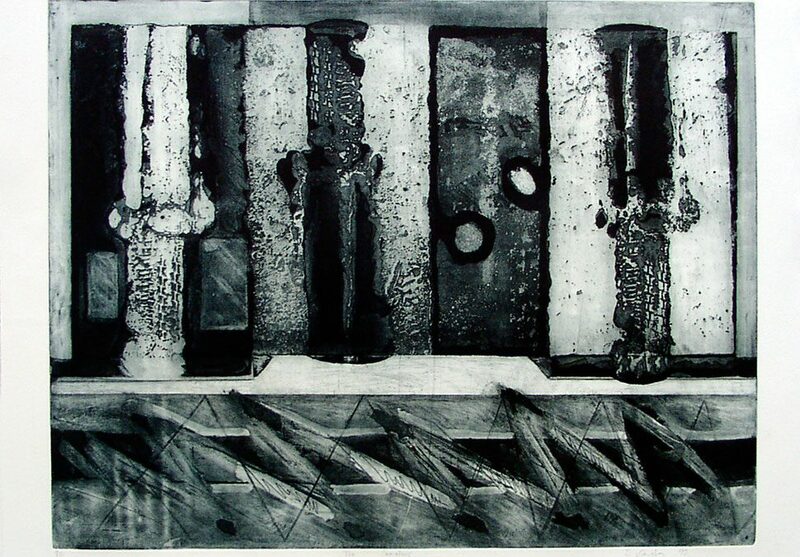 This print, from my student days in Cork, sets the stage for operatic drama. 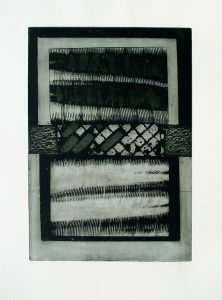 The weekly commute to to the city, observing the distorted landscape through the rain drenched window of the bus, was partially the inspiration for the composition. 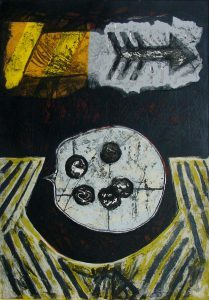 The other source came from reading Bruce Chatwin’s Songlines, an in depth study of the culture of song amongst aboriginal tribes, how they sang the landscape into existence as they traversed the Australian landscape.